The UK Mobile Banking Revolut officially launched in Hong Kong, making local financial and payment industry paying more attention on the development of mobile banking in Hong Kong. In recent years, because of the relaxation of foreign financial regulators on application procedures and thresholds of bank licenses, there has been a new form of mobile application (App) banking services in overseas market, naming digital bank (or mobile bank / challenge bank). These banks cover most of the core business of traditional banks, and equip with product design, operational smoothness, personalized and transparent consumer experience as the most important advantages. For example, the US mobile bank Atom Bank targets young people market. The bank provides customized interface design, let customers design their own colors and interface; it uses three different login methods including password, face detection and voice detection; it simplifies the account opening process, customers can open account by scanning their ID documents and filling in basic information. Atom Bank currently offers certificate deposits and housing loans, and will provide more services like debit card, overdtaft service, quick deposit, etc. 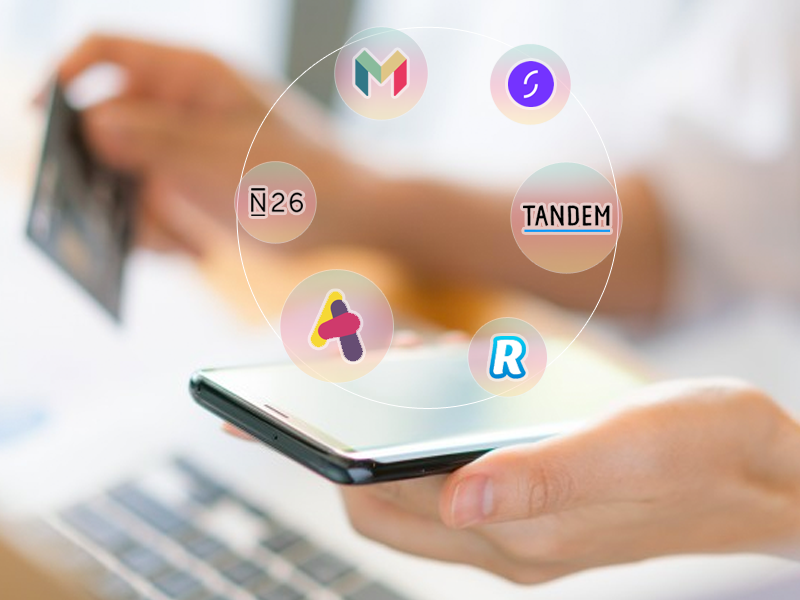 Tandem Bank focuses on improving user experience on personal wealth management, such as sending reminder to clients when the repayment deadline is near or when the credit card is about to overspend. It also provides MasterCard credit card service. Starling Bank focuses on providing account-related services. Users can apply for their MasterCard bank card and use the App to manage acoount, such as expenditure analysis, fast P2P payment, saving management, financial product review and comparison, etc. Similar to Starling Bank, Monzo Bank also launched MasterCard prepaid cards, and provide basic banking services such as contactless mobile payment, P2P payment transfer and spending analysis. At current moment, these newly rising banks are mainly providing financial services, but it will be a future trend for banks to further integrate with consumers' everyday life and to provide promotion, discount, notification, etc. Digital Banks are developing rapidly in the European market, many of them have also applied for banking licenses in different regions. As a global financial center, Hong Kong is definitely one of their target markets. Through collaboration with UniCard - Stored Value Facilities licensees (SCF0009) and MasterCard authorized dealers – foreign digital banks are also enabled to provide mobile banking and e-wallets services in Hong Kong.